You can learn a lot about a company by talking to the people who have been there longest. 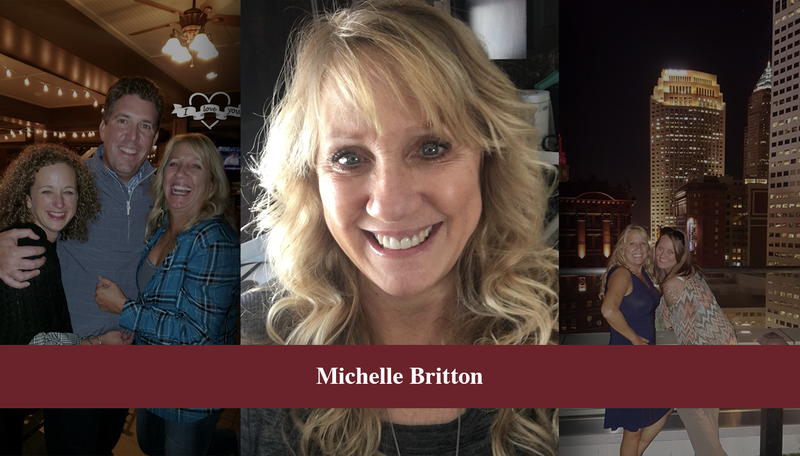 Michelle Britton is Ohio Real Title’s longest-tenured employee, and we recently caught up with her to learn more about why she loves working as a Title Manager and what sets Ohio Real Title apart from the competition. How long have you worked for Ohio Real Title? I have been at Ohio Real Title since September 2006. I’m working on my 13th year. What are your day-to-day job responsibilities as Title Manager? I like to say I do anything and everything that is needed or asked of me. But, to break it down a bit, I work setting up the orders, and typing up commitments, judicials, lien searches and policies. I also work on large commercial deals. I can usually find a needle in a haystack if asked, and if I can’t find the answer I find someone who knows the answer. I’m also a resource for my coworkers if they have questions on title issues that they need help resolving. I love that I have been an essential part of building the company, along with management and my co-workers. I’ve helped build and maintain the culture of our company. What has kept you with Ohio Real Title for all these years? On the day I started, I was given the respect and acknowledgement of my bosses that they trusted my judgment. They asked for my opinion and accepted my knowledge, and that really spoke volumes to me. What is one thing you’ve learned working at ORT? I’ve learned that we don’t have to be “corporate” or strict, per se. Given the right tools, like-minded people and environment, you can successfully do what is required for your job and not have someone consistently watching over you. I’ve also learned patience, because not everyone works at the same pace. What is one thing Ohio Real Title does better than other title agencies? There’s way more than one thing, but the most important thing is our customer service is above and beyond! We pride ourselves on responsive communication and exemplary customer service. Lastly, for the most important question, please share three things people may not know about you. I have two children, a dog, Doc, and three grandpuppies, Ginger, Gummie, and Winnie. I have three tattoos a dragonfly, a smiling sun and a turtle with a shamrock. To learn more about our team, stay tuned on our blog.